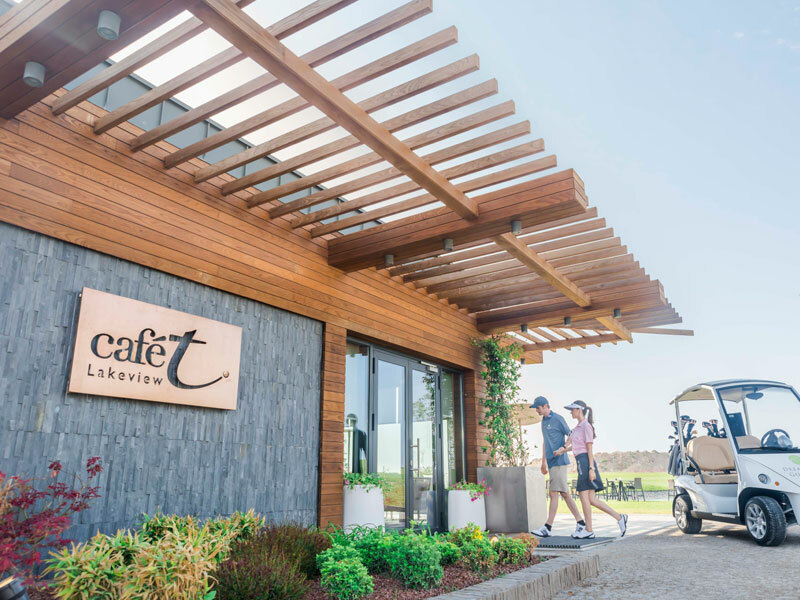 Juicy bacon butties, our signature Cafe T beef burger and a tasty Italian selection of pasta and pizzas await, well-deserved after your hard work on the driving range. Our team of chefs provides a superb European-style all-day menu from breakfast and light bites to main meals and desserts, and we are happy to offer a takeaway service to those rushing for their tee time. 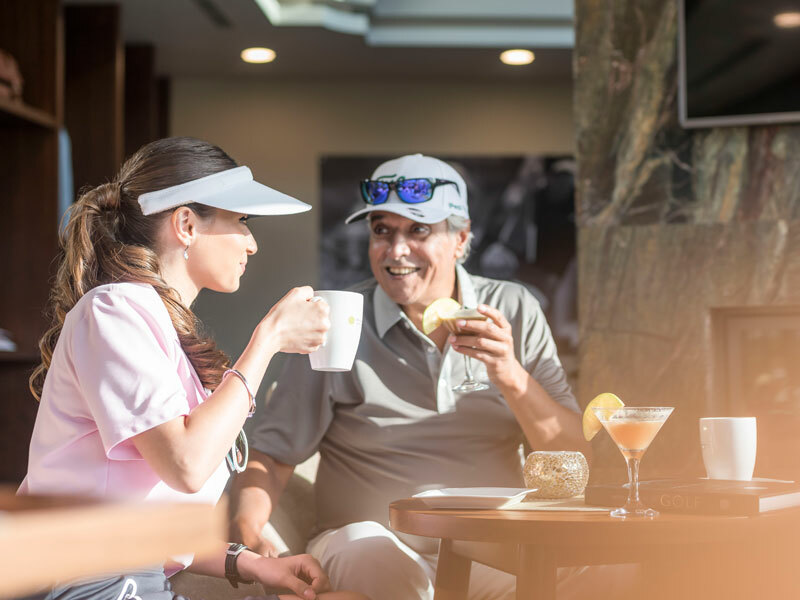 The name Café T is synonymous with ‘starting point’, signifying not only when you tee off on a hole, but when beginners at our academy take their very first swing. 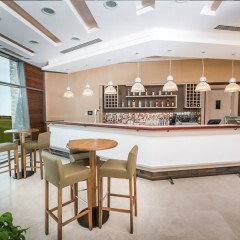 Attracting both golfers and non-golfers, there is a chilled atmosphere for all with light, natural hues and contemporary artwork extending across a dining area, bar area, and a comfy sofa lounge – a perfect place to relax and revive, whether you’re in between practice or simply want a chic, new place to gather with friends. But that’s not all. 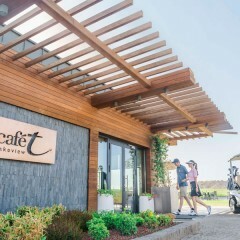 Café T’s terrace is a favourite spot to gaze out over the driving range or take in the sweeping 18-hole championship course – Baku’s best-kept lawn displaying reflective lakes, golden bunkers, rolling fairways and silvery olive trees creating a truly Mediterranean feel against a blue-sky backdrop, most beautiful at sunset. Not satisfied with one Café T, we had to build another! 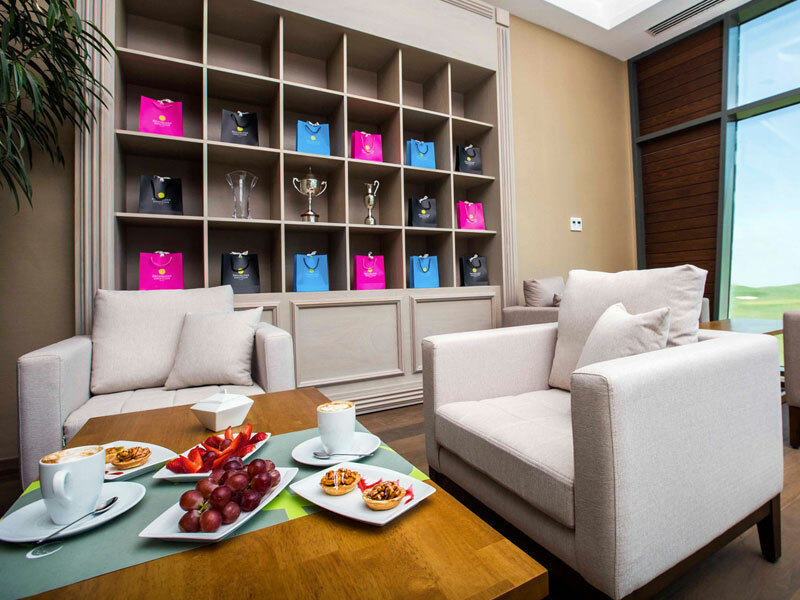 After hole 4 you’ll find Café T Lakeview providing an opportune pit-stop for refreshments – another stylish venue with a slightly adapted menu catering for players who are calling by. For those wishing to rest you can enjoy a view from the decking overlooking one of our largest lakes between holes 3-4. It’ll be difficult to tear yourself away, but you have 14 more holes to play! 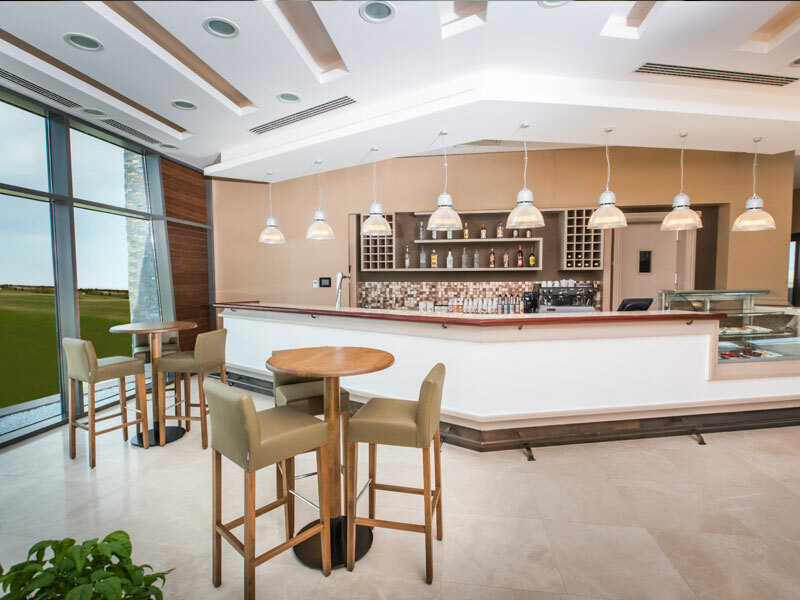 Book a table in Café T by clicking ‘Book a Table’ on the right, email us or call +994 12 404 7 400.